Picture Galaries Inc. "Garden of Eden" Painting by Briton Riviere. 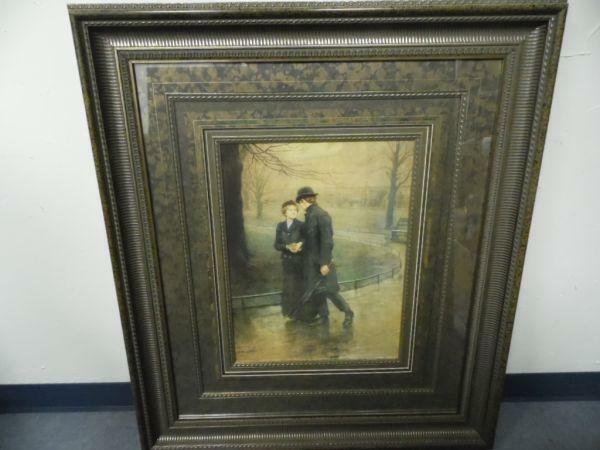 It has a very nice bronze ornate ribbed frame, it measures: 40" tall x 35" wide. This picture and frame are in excellent condition.